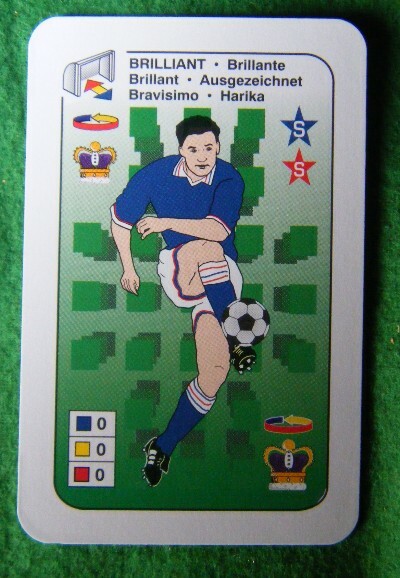 This only happens to be 'the world's most exciting soccer card game'. 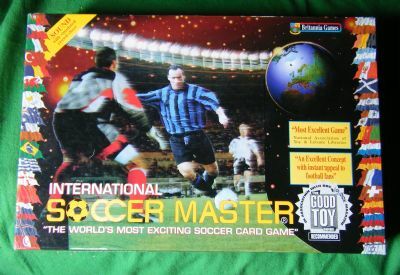 One of a large number of American soccer games to come to market around the time of USA 94. 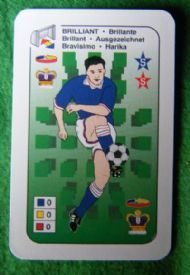 A very simple too and fro game using cards to determine how the ball moves. Colourful and very American in design. 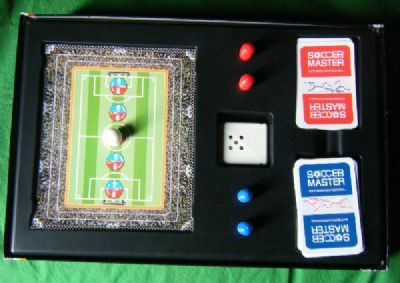 Nice boxed set with ball, pitch, cards, counters and an electronic sound device to recreate crowd noise! Simple but very confusing graphics including a crown! 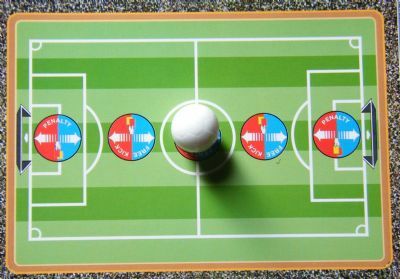 Very simple and basic - the ball can only ever be in one of seven positions.